On 22 March, Chancellor Philip Hammond gave a speech to the second International Fintech Conference in London. The speech covered many areas of financial innovation, but one of the most interesting aspects from a compliance point of view was his announcement that the Financial Conduct Authority (FCA) and Bank of England are going to move towards automating regulatory compliance. The proposed automation forms part of the government’s new Fintech Sector Strategy, which aims to retain the UK’s position as ‘the global capital of fintech’ through the Brexit process and beyond. It looks at how the sector’s needs can be addressed, and the opportunities offered by its growth. The FCA has long been supportive of the push for innovative approaches in financial services. Its Project Innovate, where new approaches are incubated, and Regulatory Sandbox, a ‘safe space’ for the testing of new products and services have been running for a number of years. With regulatory complexity regarded as a blocker to innovation, it’s easy to see why the regulator and government are keen to make it easier for new entrants to join this highly-competitive area. For financial services firms – whether start-ups or incumbents – marrying innovation with compliance is crucial. Whether it’s a new product, delivery mechanism or means of customer communication, any new approaches need to comply with FCA standards around processes, operations and financial promotions. 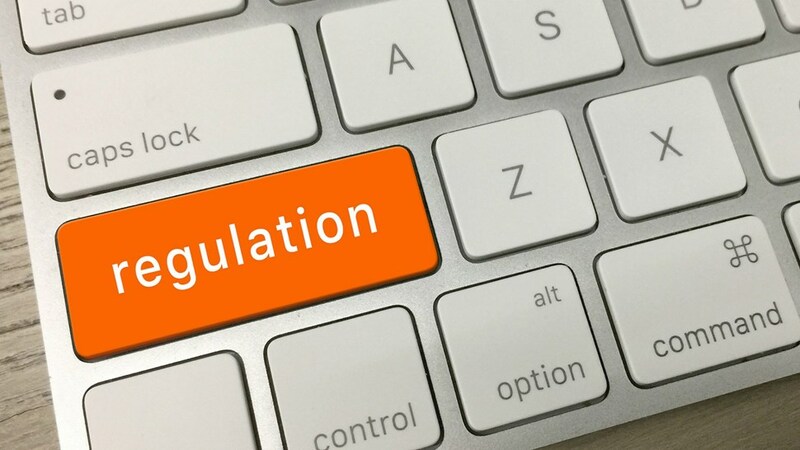 What does automating regulation mean? The Strategy document claims that the financial services sector spends approximately £1bn per year on the direct costs of regulation. Indirect costs can be many times that figure, and this burden falls disproportionately on smaller firms – thus unfairly prejudicing start-ups; often the firms leading the charge on innovation. What is the regulator doing now? The FCA and Bank of England are therefore exploring the potential for – in the Strategy’s words – ‘making the rules firms need to comply with machine-executable’. This would create the potential for automated or straight-through processing of the regulatory reports firms need to produce. As well as reducing cost, this would minimise inaccuracies in the data submitted. It would also allow changes to regulatory requirements to be adopted quickly and painlessly. In February this year, the FCA published a Call for Input on ‘smarter regulatory reporting’ and is asking for views on its approach until the deadline of 20 June. The Authority is also working with a number of banks to trial this work in a production environment, with a view to using the new reporting technology on two areas of regulation within the next six to nine months. At the same time, the Bank of England has started a piece of work to understand how it might address the definition and implementation of machine readable rules in the next iteration of the Prudential Regulation Authority’s rulebook. It will be working with the FCA and relevant firms to continue developing this work. How will the move to automation help you? Most Compliance teams would agree that anything which makes the regulatory compliance process easier, quicker or cheaper is to be welcomed. The list of rules you need to comply with continues to expand – whether FCA-focused, like MiFID II, or broader, like the General Data Protection Regulation coming into effect in May. With the government and financial regulator firmly behind innovation, a move to automate regulation seems a logical next step. You can pre-empt any developments – and get a head start on saving money and realising efficiencies – by exploring how an automated approach to regulatory compliance could benefit your firm. If you want to do more research into the pros and cons of automation, you can read these blogs on the benefits of automation for Compliance teams and on the 10 questions you should ask when comparing automation solutions. For a more in-depth look at automation, what it means for Compliance and how it can help reduce cost, minimise regulatory breaches and improve project management, you can download this free whitepaper, The benefits of automated workflows. You can read a copy here.